Hit, push, restrain, hurt or shove you? Embarrass you or make fun of you in front of others? Blame you for all of their problems? Threaten to hurt you if you leave? Get extremely angry (often without reason)? Use alcohol or drugs as an excuse for hurting you? Pressure you to use drugs or alcohol? Try to control who you see, what you do, where you go, or what you wear? Follow you, check up on you, and accuse you of cheating? Make you feel as if no one else will want you and that there is no way out of the relationship? Use social media to track who you communicate with? If you answered “yes” to any of these questions, you may be experiencing domestic violence. Domestic violence is willful intimidation, physical assault, battery, sexual assault, and/or other abusive behavior as part of a systematic pattern of power and control perpetrated by one intimate partner against another. It includes physic al violence, sexual violence, psychological abuse, and emotional abuse. The frequency and severity of domestic violence can vary dramatically; however, the one constant component of domestic violence is one partner’s consistent efforts to maintain power and control over the other. 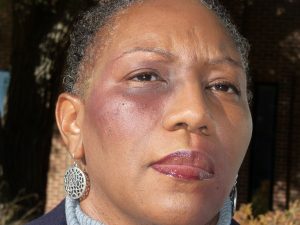 Domestic violence occurs among all ages, economic levels, genders, and races. It can range from threats and intimidation to death. In the U.S., four persons die each day as a result of this violence. The Power & Control Wheel (pictured below) provides examples of different kinds of abuse that you or someone you know might experience. It was developed by the Domestic Abuse Intervention Programs (DAIP) as a way to document the most common abusive behaviors or tactics that were used against battered women. Visit Home of The Duluth Model to learn more about the wheel. Do you need help filing a restraining order? Please visit our services page. Abuse is learned behavior. Partners make the choice to use emotional, physical and/or sexual violence to gain power and control over another person. An abuser has low self-esteem and feels powerless and ineffective in the world. He or she may appear successful, but internally, the abuser feels inadequate. Some abusers may have been raised in a violent home where violence is learned and is used to solve problems, and/or they may lack the ability to maintain relationships (past and present). An abuser may also have strong opinions about the role of their partners — for example, that women should be submissive, stay home, and take care of the children. 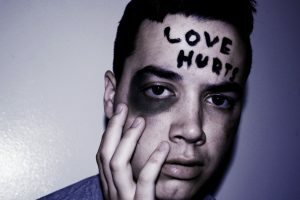 If you are being abused by your partner, know there is nothing you have done or are doing to cause the abuse. Remember: abuse is a choice. It may seem impossible to escape your abuser, change your circumstances, or find the help you need, but it is possible. However, you know your abuser best, so think carefully through your situation and circumstances and do what is the best for you. For immediate assistance call 911 or contact a member of the Franklin County Sherriff Department’s Domestic Violence Unit at 919-496-3332. You can also call N.C. 211 to find a domestic violence service agency near you. Safe Space Crisis Hotline is also available 24 hours a day and a trained advocate will be able to help you obtain the services you need. Call day or night, 365 days a year 919-497-5444 or 1-800-620-6120. This portion of the page is dedicated to the memory of those in our community who died as a result of domestic violence. A few homicide victims whose families have given us permission to share their photos are featured below. We are committed to honoring their memories by tirelessly working to end domestic violence and sexual assault in our community.